I finally have a chance to post some cards. 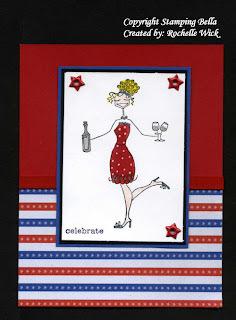 I have made a total of 60 cards in the three days of stamping that I have had. I brought a ton of stuff with me and I have used everything I brought. I have wanted this bird stamp for a long time and my friend Shelly in MN got it for me and gave it to me when I was at her house last week. I couldn't wait to use it. Of course I had to cuttlebug the background that is just a givin these days. lol I colored the birdie with bashful blue and his wing summer sun. I also added stickles to his wing to add just that little shimmer. I can't wait to make more cards with this little guy. 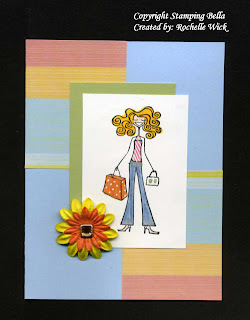 Accessories: Cuttlebug Embossing Folders, Stickles, Blue Gingham Ribbon, Stamp-A-Ma-Jig, Giga and Mega scallop Punch. I wanted to share this card before I went on vacation. My mom called me the other day and said that I am invited to my cousin's engagement party when we are in town. Then she told me that her mom also does stampin' up. I can't go to the party because we will be at the cabin for that weekend fishing, swimming, wake boarding, and just plain ol' relaxing. But I wanted to make her a card. Especially since her mom stamps. So I made her this card. I used sahara sand and whisper white. What a great combination. I also added a rose colored prima to give it that little splash of color. I stamped the paisley background in sahara sand. The scan makes it a little darker that it really is so try to picture that. I also sponged sahara sand around the edge of the greeting. For the lace looking bottom, I used a fiskers border punch. It just adds that little bit of elegance. See, as you may have noticed, I am not an elegant stamper. LOL So these cards are a challenge for me. But I love how it turned out and now I can say I made an elegant card. Isn't he cute!! 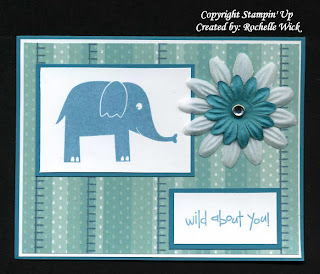 I found this paper at Joann's and knew that I wanted to use the elephant. My friend Kristine sent me the prima's and they match perfect. Notice how I have a greeting. LOL I don't know who is going to get this card. It might be too cute to send. See I have a hoarding problem, like many of you I bet. I make all these cards and have every intention to send them but then I change my mind because I can't part with them. My friend suggested that I make two of each so I can keep one and send one. I think that might help. I made this card for my nephew. He is 3 and my sister always calls him a monkey. I borrowed this set from my demo. 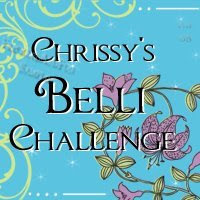 I didn't know if I would like to get it so I am borrowing it to see. 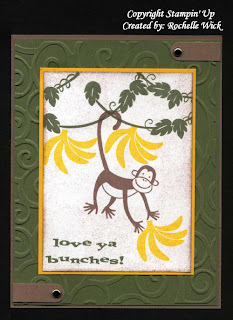 I think it is cute and I could make a lot of cards for my little "monkey" if I did get it, so we will see. I stamped the images but the white was so bright that it didn't quite look good so I sponged some close to cocoa on it and I like how it looks now. Those sponges really make a difference. 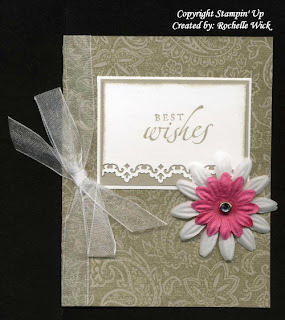 Of course I had to use the cuttlebug embossing folders too. I so love these. I seem to give Starbucks gift cards more than any other type of gift cards. I got this Starbucks stamp a couple years ago. I use it when I give the gift cards, I like to make a matching card. I don't know why but I have never taken a picture of the cards I have made with it. This time I thought I would. 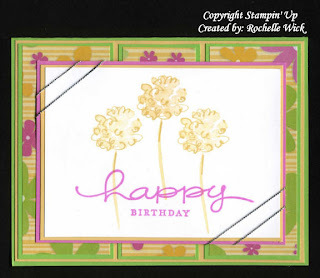 The stamp is made by Viva Las Vegastamps. It isn't the actual Starbucks image. It is a slight oval and not a perfect circle. But it is close enough that no one would know. It is a solid stamp so I have to stamp it in the green and take my markers and color the black. I don't think I did this one right but you get the idea. I think I should have left some green in the middle. I also used the retired coffee set, Espress Yourself as well. I really like this set and wish it never retired. I NEVER use Garden Green either. This is the only time. I just don't like that color. 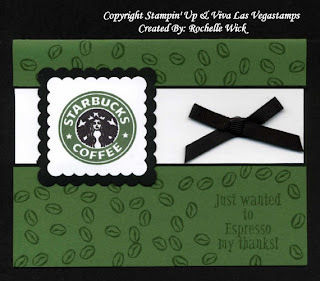 LOL But it is the Starbucks color so I use it when I make these cards. I was trying to do the SCS sketch challenge 131 this week with this one. I don't know if it qualifies though. They had a square where my circle is. I punched the scallop circle and then punched some barley banana circles using a hand held punch. I glued the circles in the scallops. I like how it looks. The DP is from Joann's. I think it is Sandylion. I colored with the SU markers and found a jeweled brad for the center of the pinwheel. I got a new Bella. Emmybella. Isn't she cute? The paper is from the DCWV summer stack. I just love that paper. I colored her with markers and used the Gelly Roll glitter pen on the cuff of her pants and on the top of them. I really love that pen. I also used the SU white gel pen and made stripes on her shirt and dots on her bag. I tried to make a cute purse but it didn't turn out like I wanted but oh well. I got the primas from my friend Kristine and I used a jeweled brad for the center. Once again, no greeting. Seriously, I should stamp that first, then it will always be there. I have been tagged again. 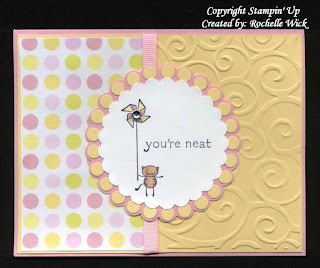 This time by The Stamping Librarian, Nicole Cooke and Cheryl over at Engineered Expressions. 7 interesting things about me. So here we go. 1. I love adventure. I have been skydiving and I love it. I wouldn't go bungee jumping but I would bungee out of an airplane and then skydive to the ground. That sounds real fun to me. 2. I have 4 tattoos. Two of which are Siberian Tigers which are my favorite animal. I also have my ears pierced. (three in one and four in the other) I also have my nose pierced. 3. I am a photographer. I love to take pictures. Black and whites mostly. I have the equipment for a dark room but my house is too small to set it up. I took a couple classes at the local college and learned how to develop my own pictures. Super cool! I hope to someday own my own photography studio. 4. I was adopted. My birth mother and father weren't married. I have 2 brothers and 2 sisters on my birth mothers side. I have 5 brothers and 2 sisters on my birth fathers side. I grew up with 2 sisters in my adopted family. Here is the weird part. I am the youngest of 8 on my fathers side, the youngest of 5 on my mothers side, and the oldest of 3 in the family that I grew up with. So technically, I have 7 brothers and 6 sisters. 5. I am very funny and sarcastic. I love everything funny. I love to laugh until I cry. 7. I love sports. Baseball mostly. I have always loved the NY Yankees ever since I can remember, but I am also a MN Twins fan. I am also a MN Vikings fan. I love to watch football. We had season tickets to the MN Vikings but had to sell them when we moved to CA. So that is a little about me. I know, not very interesting, but now you know a little more about me. This was a fun card to make. 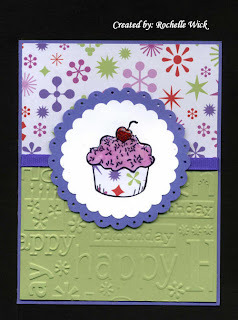 I stamped the cupcake on the white paper then punched it out and colored the frosting in Orchid Opulence. Then I colored the cherry with red stickles. When the stickles dried, I covered the frosting and the cherry with diamond glaze. (crystal effects) Then I stamped the cupcake on the pattern paper and cut out the "wrapper" then glued it on the finished cupcake so the cupcake matches the background. Fun fun fun. Once again I didn't do a greeting. Partly because all my greetings are now retired, and partly because it is in the background. I love how it turned out. I think it is cute and it was so easy.